Is Detroit Still “Home, Swede Home”? The Detroit Red Wings and Swedish-born players: a match made in hockey heaven. Under the guidance of Director of European Scouting, Hakan Andersson, Detroit has been able to draft some of their more prominent players out of Sweden. A long list that includes Nicklas Lidstrom, Henrik Zetterberg, Niklas Kronwall, Johan Franzen and Gustav Nyquist. The past ten years, however, have not been as kind to the Detroit-Sweden connection. Three weeks ago, the Wings traded prospects Mattias Backman and Mattias Janmark for veteran winger Erik Cole. 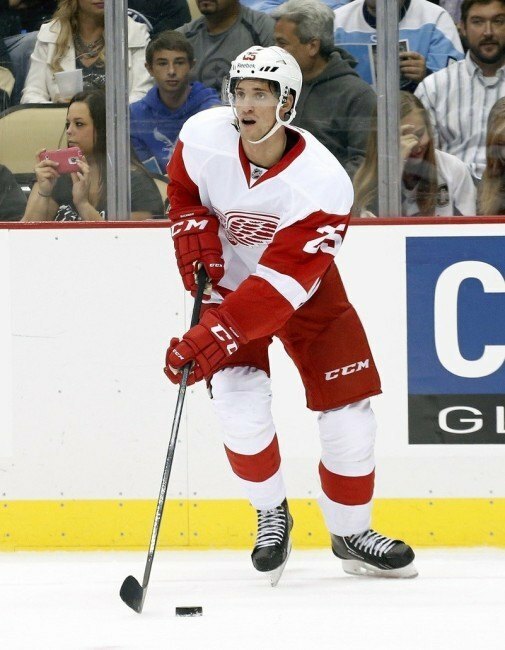 While it is possible Janmark would have made the jump over to Grand Rapids next season, the consensus among Red Wings fans was that Backman had no future in Detroit, because he decided to leave the Griffins in late December. It appears somewhat of a trend in Detroit – unhappy, Swedish-born players leaving the AHL. The issues cited by the players tend to involve difficulty transitioning to the style of play in North America and a lack of ice time. What I would like to discuss are a few of the Swedish-born prospects in Detroit’s system that have come over to play in Grand Rapids, only to head back overseas before making it to Detroit’s roster. Backman played in just 18 games for the Griffins this season, scoring four points in total. Since returning to Linkopings of the Swedish Elite League, Backman has 17 points through 25 games. Whether his push for more ice time had merit or he is just playing with a chip on his shoulder, Backman has found success back home. I understand the concerns about his conditioning. Personally, I think it was just a matter of bad timing – Detroit’s defensive corps was already crowded, and the team did not seem high on Almquist. The reality is that there was simply no room for him on this team. I think he recognized his situation and decided that a move overseas might be the best thing for his career at that point. Instead of Sweden, Almquist elected to go to the KHL, where he has just four points in 21 games with the Cherepovets Severstal this season. Axelsson played in just 17 games for Grand Rapids, scoring five points. When it became clear to Axelsson that he was going to have to earn a call-up to Detroit, he requested that he be returned to Farjestads. Since returning to the SEL, Axelsson has played for Farjestads, MODO and Frolunda, putting 119 points through 191 games. He made a move over to the Swiss National League this season, where he has scored 33 points in 45 games with Davos. Larsson spent two seasons as a Griffin, posting a GAA of 2.76 and 2.85 and save percentage of .907 and .903 in each respective year. His numbers improved upon returning to his native homeland, where his GAA has stayed within a range of 2.20-2.63 and his save percentage .903-.921. Some may claim that Johan Ryno never really wanted to play in North America, including the man himself. 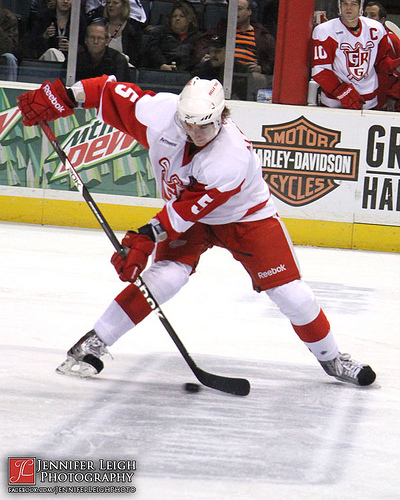 Ryno played in just twelve games for the Grand Rapids Griffins during the 2007-08 season before heading back to Sweden. Two years later, he played in the preseason for Detroit, but ultimately decided to head back home once again. Former Griffins general manager Bob McNamara made it clear Ryno would have to play in Grand Rapids if he ever wanted to play in Detroit. Despite having some offensive success in Grand Rapids, scoring seven points through twelve games, Ryno never really seemed to enjoy his time in the AHL. There were some questions regarding his mental and physical toughness. Since returning to Sweden, he has seen steady offensive success playing for AIK, Oskarshamn and Leksands in the Swedish Elite League. Should the Wings Look Elsewhere at the Draft? I don’t think so. Despite some bumps in the road, the Red Wings have shown little hesitation looking to Swedish players at the draft. 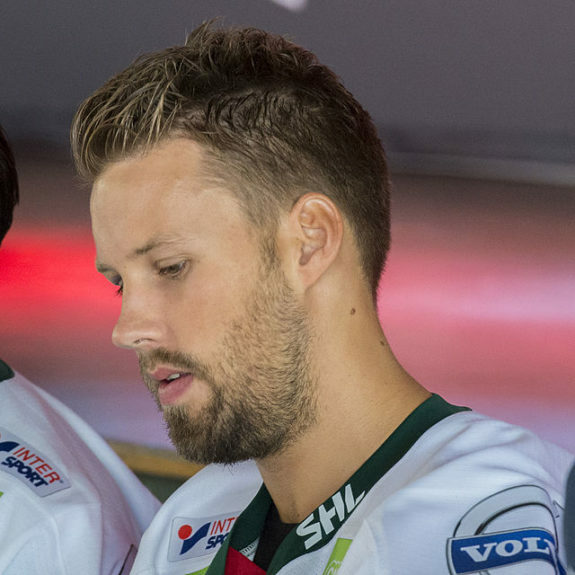 They selected two Swedes in the 2014 draft – Christoffher Ehn and Axel Holmstrom. When I look at the prospects who left Grand Rapids, I feel as if a few carried a sense of entitlement with them. I think there is an inherent risk when any team drafts a player from overseas – they can always go home to find comfort and familiarity. The road to Detroit is not an easy one, but it is one that Red Wings’ management expects them to take.